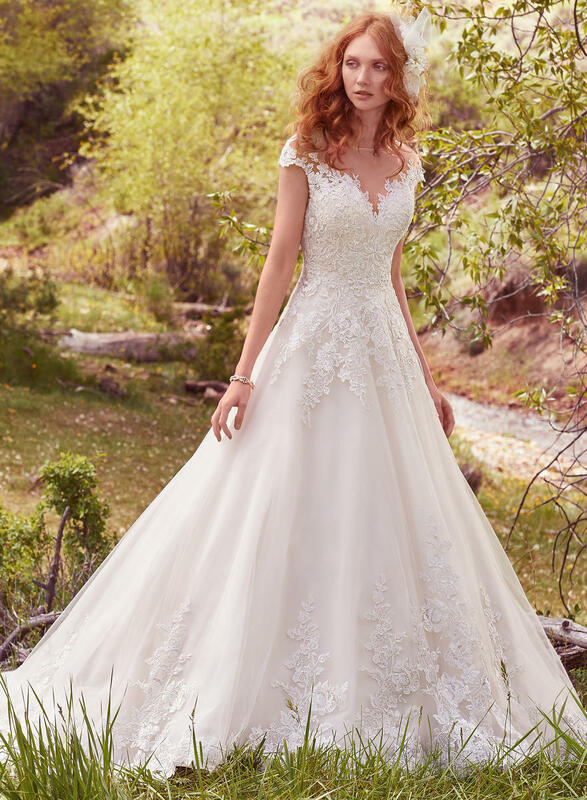 This romantic ballgown features lace appliqu�s across the bodice, illusion sweetheart neckline, illusion back, and regal hemline. Subtle crosshatch details and sequins add shimmer and dimension. Finished with covered buttons over zipper and inner corset closure.